I only recently learnt how to make a white/cheese sauce. I know, I'm almost 30 and I had never made my own white sauce. I only learnt how when my ever resourceful husband taught me! Upon talking to my Mum this week I was informed that my Dad actually is not a big fan of white sauces. Hence, why we never really had them growing up, and why I never knew how to make them. Phew, that makes me feel so much better about my lack of cooking ability! The only thing I ever use my newly found white sauce skills for (and usually under the guided help of my resident expert white sauce maker) is good old Mac'n Cheese. 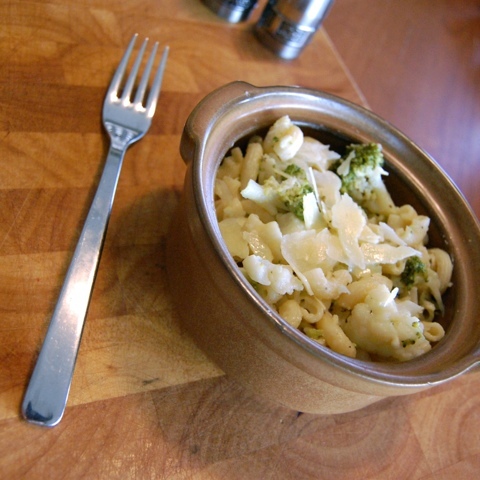 I actually had never eaten Mac'n Cheese before I went to America. But, now it is something I love to make for Ezra's lunches, which I will of course eat as well! Or for a quick and easy no fuss family dinner. So if you are looking for an easy alternative to sandwiches for toddler/kids lunches, this is it!! 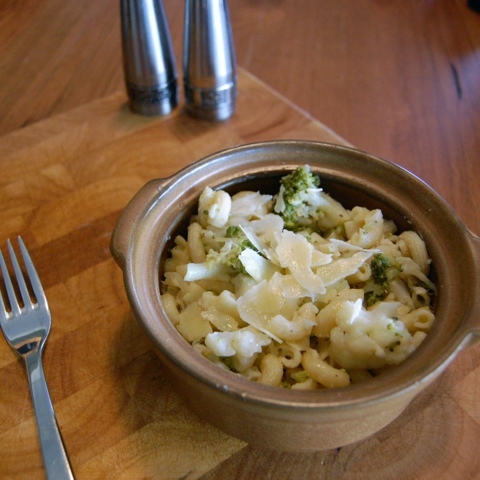 I also like to add a huge amount of broccoli and cauliflower to our Mac'n Cheese, but if you have a fussy eater you can chop them really tiny, or hide some other veggies in the cheesy goodness! This makes a lot, so you have leftovers to freeze portions or to eat the next day. Ok so the sauce is really easy, but you have to be on your game (i.e. not trying to facebook, tweet or load pictures on instagram at the same time) and keep stirring or you'll end up with a burnt gluggy sauce. Salt and Pepper to taste if desired. These amounts are just a good guess, we make it until it is the right consistency. You want the butter and flour mix to be thick and smooth. Boil a large pot of water with a sprinkle of salt. 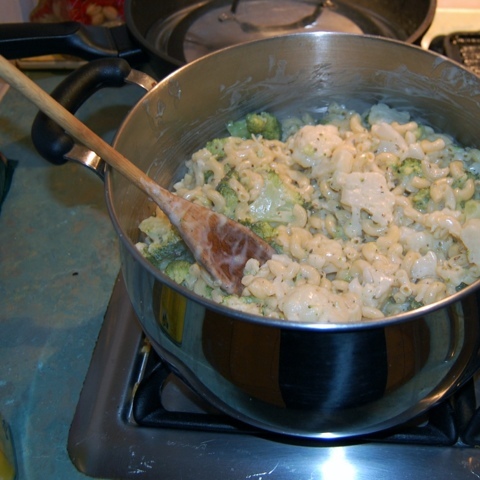 Add the chopped broccoli and cauliflower and macaroni noodles to the pot, and boil until the pasta is cooked. Heat a medium sized pan and add the butter. Keep stirring until the butter melts. Then you add your milk. Continue to stir. The mix should begin to thicken into a sauce/gravy like consistency. Add your cheese, all the while still stirring until the sauce becomes nice and smooth. Drain the veggie and noodle mix and then put back into the pot, or a large serving bowl. Pour the sauce over the top and stir in. Add more salt and pepper to your taste.